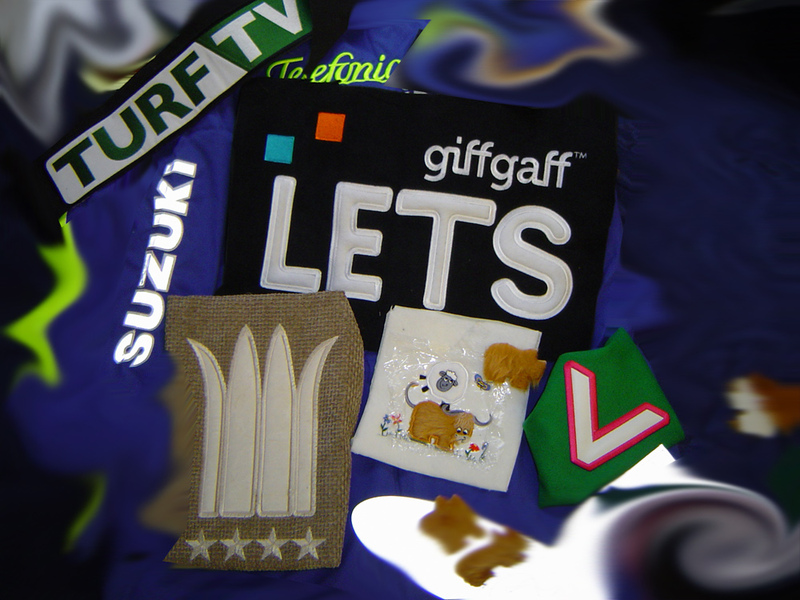 Here at KK Embroidery we offer a range of applique embroidery service to ensure that there is something for everyone. As a company that prides themselves on offering a comprehensive service we hope that there is everything you could need listed here on our pages, but if there is something that you had in mind which you can't see here then please do not hesitate to get in touch. Applique embroidery is basically material that is crated or stitched onto a base cloth. It can be made up of a whole range of materials, but because it is then placed onto a base cloth it is sturdy and well held together. When fabric designs are finished they are then embroidery stitched or adhered to the base in order to be completed. The appliques themselves can be finished with all manner of accessories and add-ons to make them complete including ribbons, cords, beads and sequins. As these designs are placed onto an extra layer of fabric it helps to give them depth and strength. Applique embroidery itself can be used in a whole range of ways and designs, so whatever you have in mind get in touch with us and we'll be happy to do what we can to help. We are able to use company logos, slogans, colours and other branding to create pieces of embroidery that can be used on company uniforms. Creating a brand that is consistent is essential when it comes to ensuring the success of a business and having branded uniforms is a big part of that. We're also able to help with creating school badges, name badges and much more. The type of design is also on trend at the moment which means it is also an ideal way to add an extra twist to an item of clothing or to create something new. If you enjoy clothing, sewing, haberdashery etc then applique embroidery can be used too! If there is something that you feel needs to be stitched onto clothing in order to create an identity then this is something that we should be able to help you with. If you have an idea for something that you feel isn't listed here then get in touch and we'll see what we can do for you? The look and feel of applique embroidery is really different to normal embroidery, so it really does help to create something different. Your piece can be finished with a 3D look to it, with different materials used to create a different feel to your finished piece. So for example you can create an animal design where you can feel the softness of the animal where there body is - it really is lovely! We pride ourselves on the finish you'll get from your badge, so they will all be created to a high standard. The way that they are put together means that they are durable and strong - which is exactly what you need when it comes to creating something that can be used on a uniform and is likely to be put through wear and tear. Even better, once something has been designed and created for you we are able to reuse your designs to help make your order completion date even quicker. Although we are based in the West Midlands, we are able to deal with orders from all over. We're a company that prides ourselves in offering a high level of customer service which means that if you get in touch with u we'll do our best to answer any questions or queries you have as soon as possible. Whether you're interested in applique embroidery or any of our other services you'll always get a high quality finish and products that exceed your expectations. We're able to help with the whole design and creativity process which means that putting together something like this is as hassle free for you as possible. We have been in this industry for a number of years which means we have the skills and experience to take care of your order efficiently. Got any questions about applique embroidery or what we can do for you? Get in touch today, we'd love to hear from you!